A healthy body is a happy body, and there’s no better way to preserve your health and your family’s health than with a health insurance policy from North Atlantic Insurance. Let’s face it, medical treatments aren’t cheap. Without health insurance coverage you could end up paying off medical bills for the rest of your life. 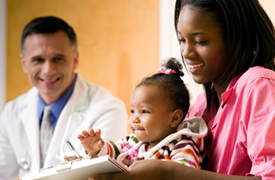 North Atlantic Insurance can help you find an affordable healthcare plan that’s right for you. Contact one of our friendly agents today to learn more. There are basically three major types of Maine health insurance policies to choose from: consumer-directed, fee for service, and managed care. These health insurance plans help cover your medical, surgical, and hospital expenses. They may even cover dental expenses, mental health services, and prescription drugs, depending on the coverage you choose. To learn more about Maine health insurance, call and talk with one of our agents today. We’ll guide you toward a more secure future.